Biolink Diatom is a natural product made from the fossilised remains of ancient shell creatures. 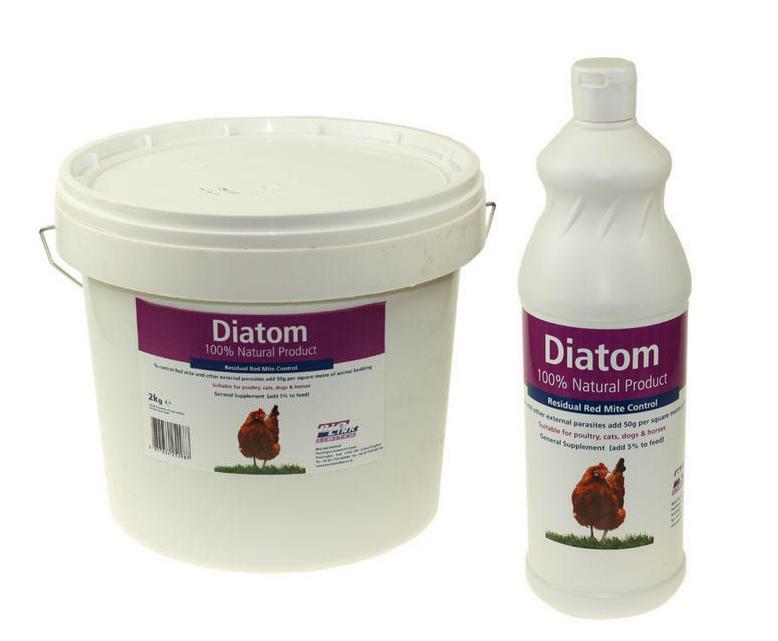 It can be used for the lasting control of insects and red mites in hen house's. Treatment should begin before any signs of red mite appear as once they are visible to the naked eye they are much harder to control. It can also be sprinkled in the chicken's dust bath to provide extra protection. BioLink Diatom is now under European Law classed as a pesticide. We can no longer make any claims as a wormer. Below are some recent questions we've received regarding Biolink Diatom, including answers from our team. is this safe to use on hens WITH CHICKS ? Yes, this is a very safe product and will not harm baby chicks. If there are any red mite about, they are going to be much more harmful.